3rd award in the XII National Rural Amateur Cinema Contest of the Cantabria Government, 1986. En este documental se muestra el proceso de elaboración de una curiosa pieza de artesanía: una botella de cristal rellena de arena de distintos colores, formando así motivos figurativos y geométricos. 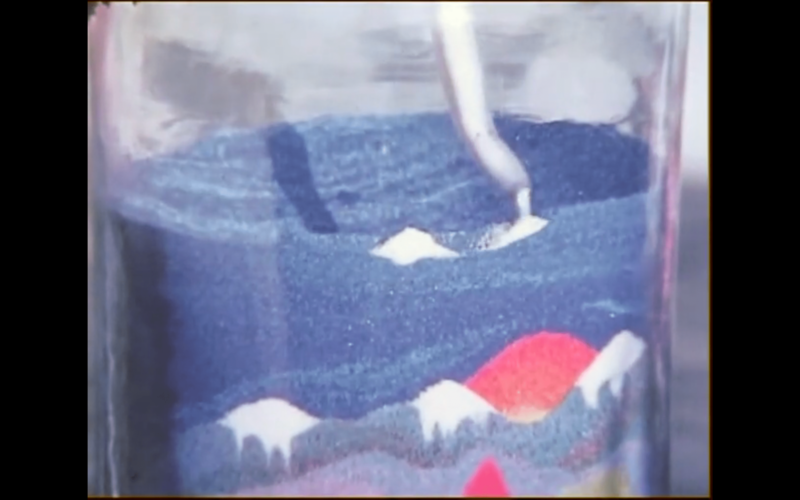 This documentary shows the process of making a curious craft piece: a crystal bottle filled by sand of diverse colors that forms new figure and geometrical patterns.